Tony Draper is an Executive Coach for EDA and based in Brisbane, Australia. He combines his solid business acumen with the best coaching models to support the delivery of sustainable solutions to his clients. He has more than 24 years experience with multinational corporations, both as an employee and professional coach in the Asia-Pacific region. In recent years, his work has been concentrated in Singapore, Hong Kong, India, Australia and New Zealand. As coaching emerges in Asia, Tony has been supporting organisations with the implementation of culture change and other Organisational Development initiatives as well as the training of internal coaches. As a master facilitator, he also supports the training and development of new ICF accredited executive coaches. Tony partners with organisations to equip people with the tools, knowledge and opportunities they need to fully develop and be effective in their commitment to themselves, the company and their work. Tony has held roles in R&D, Technology Exploitation, Marketing and Business Growth & Development. His strengths are in communication, interpersonal relations and team building, with a proven track record in leading teams to achieve target in full and on time. As a coach, Tony has a passion for working with clients who want to develop their organisation and increase performance. 1. Executive coaching – supporting clients to develop their leadership abilities, by actively participating in leadership, rather than learning about it. 2. Corporate coaching – partnering with an organisation to support the effective implementation of its chosen organisational development (OD) strategies. 3. 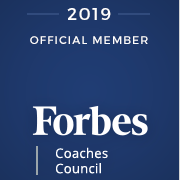 Master facilitator of coaching programs – assisting and leading a range of programs, such as leadership coaching, internal coach training and executive coach training. Tony is an International Coach Federation accredited Professional Certified Coach (PCC).